Over 2000 people visited this year’s German EMC technology event in Stuttgart with comprehensive workshop programme. A survey of exhibitors, visitors and workshop participants of EMV 2017 confirm a positive mood within the EMC industry. During three exhibition days, 118 exhibitors presented their products and services to 2,775 visitors from 28 – 30 March 2017 in Stuttgart, Germany. 40 percent of the exhibitors came from abroad. The top 5 countries from the participating companies apart from Germany were the USA, France, China, Switzerland and Great Britain. 81 percent of the exhibitors said that customer relationships with existing clients was the main reason for participating in EMV, closely followed by customer acquisition (71 percent). That shows the importance of the event in the industry. “EMV 2017 was a great event in all respects. Many technical discussions with visitors, other exhibitors and suppliers and up-to-date topics within the workshops contributed to the overall picture. 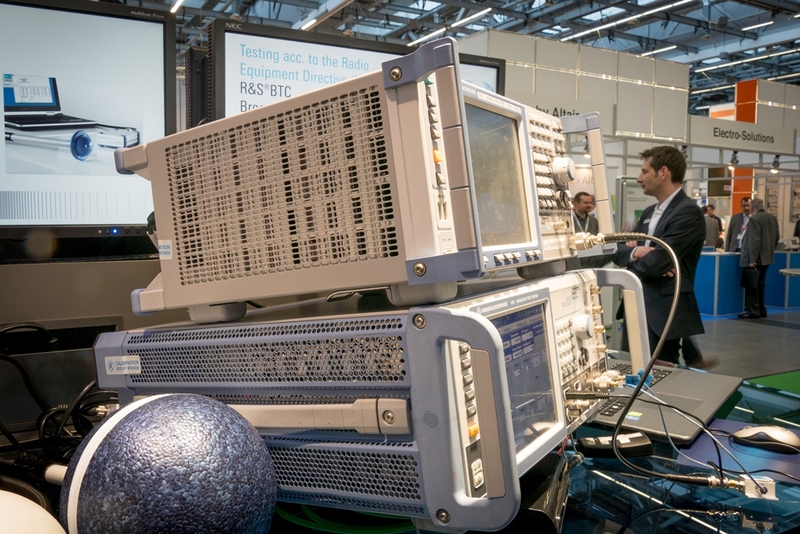 It was the first EMV event for IMST in Stuttgart but certainly not our last,” commented Markus Ridder, Head of the test centre department at IMST. The expectations of visitors were also fulfilled, according to the survey results. 91 percent stated that they achieved their goals, such as learning about new products (61 percent), getting a general market orientation (59 percent) and maintaining business contacts (47 percent). Above all, visitors appreciated the exhibitors’ competence in consulting and a clearly defined range of products. The professional quality of the workshop topics were also a factor in visitor satisfaction, with 90 percent rating the workshops as “very good” or “good”. Altogether, 39 workshops on electromagnetic compatibility (EMC) took place, with nine of them being in English. Most of the participants were from industries such as electrical measurement and control technology, electrical engineering, vehicle electronics and construction. Overall EMV 2017 showed itself to be an ideal platform for dialogue between users and experts. EMV confirmed its position as one of the main European events for electromagnetic compatibility. The next EMV – International Exhibition and Conference on Electromagnetic Compatibility – will take place from 20 – 22 February 2018 in Dusseldorf, Germany.